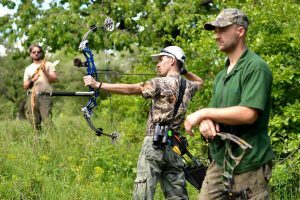 Leader Accessories produces a high-quality bow that is designed for hunting and to suit the needs of individuals who are into archery. The bow is made of aluminum and is lightweight at 4.4 lbs. The draw weight is 50 to 70 lbs., with a length of 25”-31”. The height of the brace is 7.5”. It is composed of an aluminum riser and let-off is 75 to 80 percent. This product can make the bow travel at 310 feet per second, and it works best with a 30” carbon or aluminum arrow. The bow has a right-hand orientation. The string’s length and weight can be adjusted by an Allen wrench. The Leader Accessories Compound Hunting Bow is a great hunting tool as it is easy to carry, and the intensity of the bow is great to kill small- or large-sized game. It is made of quality materials that will withstand any type of weather. 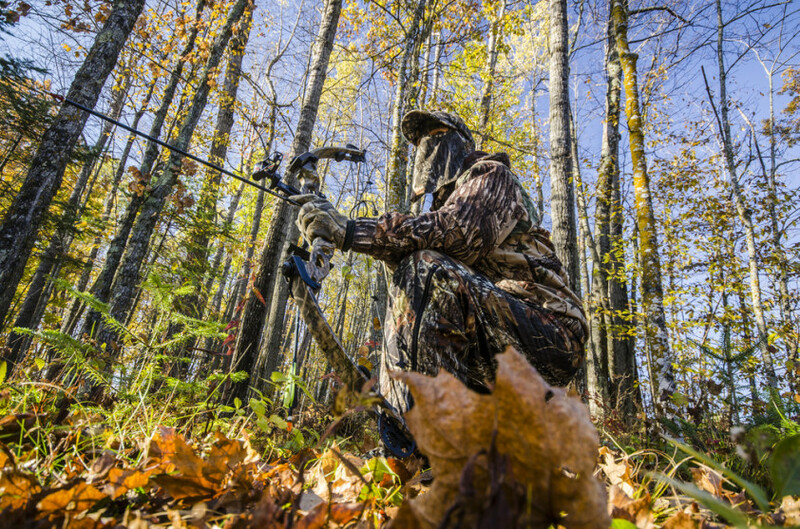 The axle to axle length is 31.5”, and draws maximum energy to the arrow, which makes animal hunting possible, and makes a strong and deep bow penetration. This product is best when used for hunting deer, and is versatile when brought to the forest. The structure of the bow is stable and will not bend or easily break. The product also has four pins that serve as sights to ensure accuracy, even at far distances. 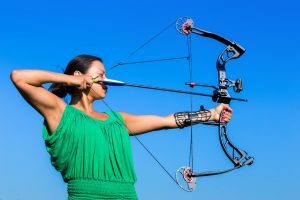 The product is good for beginners and those who are still learning the basics of archery. The product is mainly designed for hunting. The riser is made of aluminum and creates a speed of 310 feet per second. 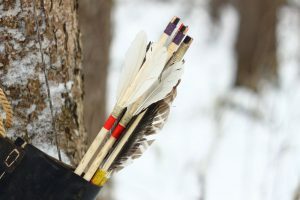 The arrow travels really fast and has an 80 percent let-off; this means that the arrow absorbs a great amount of energy from the bow, and there is high accuracy at every shot. The string of the bow can be pulled and produce up to 7 lbs. of energy. The string’s length is up to 31” and can be easily adjusted with an Allen wrench. The string is non-stretchable and provides a good amount of resistance so that the arrow gets as much energy without pulling too far. Shooting is smooth with this product and the impact is immense. 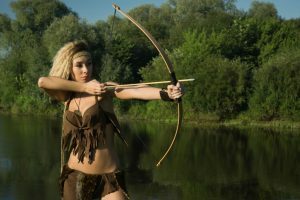 The great amount of energy and weight that the arrow brings is easily capable of hunting large animals. Hitting the target is also accurately done because the string has four pins to indicate sight and correct arrow positioning. Maintaining a draw is light and there is no added strain on the arms. The shot is still powerful even when done at 20 yards from the target. The arrow can hit a deer at 30 yards using the second pin, while the arrow can reach 40 yards when placed on the fourth pin. The draw cycle is smooth and will not jam the string, for smooth and powerful draws. 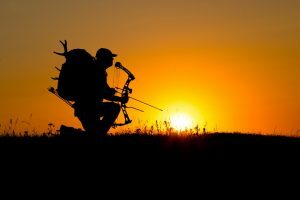 The cams are well built and can resist tension from the string, and it effectively transmits energy from the bow to the arrow. 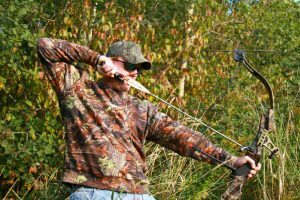 This compound bow is reliable in the woods and is not sensitive to rain or heat; the entire bow will hold together even when used outdoors. The strings tend to loosen up after a few shots, but easily can be adjusted. Replacement of the strings will only need to be done once a year. The bow’s strings tend to loosen at the cams and need to be reinforced with a lock. The strings need to be tightened regularly because the actual draw is at 31”, which will be too loose to generate power. The product is not lightweight for a beginner if all the accessories are intact. 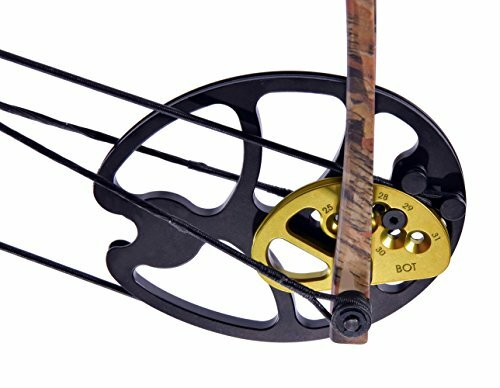 The string’s draw weight should be measured with a gauge to produce 60 pounds of energy, which can be done at a sporting goods store, or a gauge should be separately purchased. The product is reliable and powerful because the draw is tense and smooth. The structure of the product is great and stable. 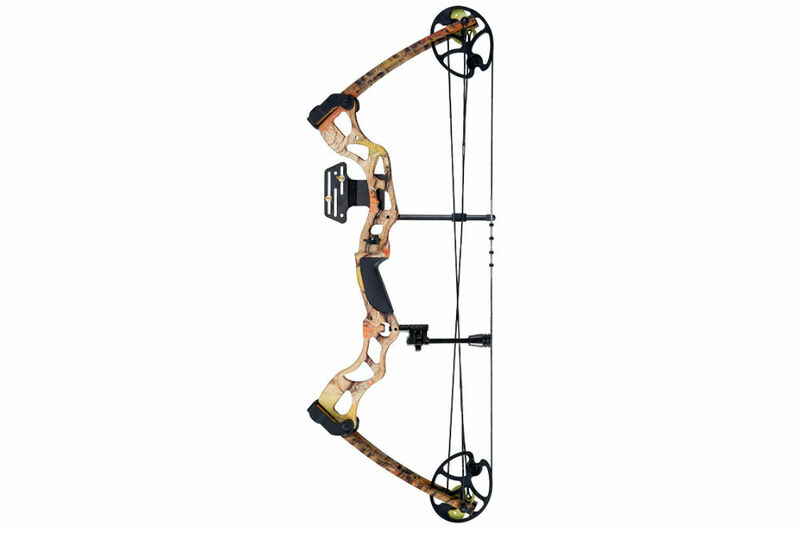 Gripping on the handle is easy on the hands, and the arrow can travel fast even at 20 to 40 yards. 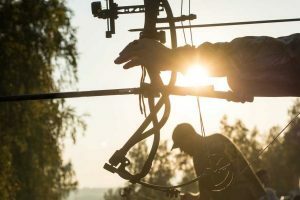 Penetration in animals is deep and accurate because of the string’s tension and the cam’s ability to effectively transfer energy to the arrow. The Leader Accessories Compound Hunting Bow will work best with 30” arrows, which should be made with aluminum or carbon. However, the strings tend to detach from the cams and should be reinforced. The bow will weigh heavier with the bows and accessories.